At first glance, the title sounds like an over-promised, exaggerated infomercialesque carrot being dangled, right? You’re probably wondering how in the world your choice of wardrobe can be game changer for your life, and how can it significantly reduce stress, save time and boost your style? Well, no matter how you feel about your clothes, and what a great wardrobe means to you, it’s pretty logical and clear that having less stuff means you’ll spend less time taking care of it all as well as less time figuring out when and how to use it. Nothing hits this point home quite so clearly as your wardrobe. We have all had the moments of looking into a closet or dresser that’s full of clothes and thought, “Ack! I have nothing to wear!” or wasted time trying on multiple outfits only to end up wearing something that only made you feel marginally good about your appearance. It didn’t feel good, did it? Now, think about a moment you had the opposite happen—when you grabbed something in a hot minute, felt great, and you rocked it both in ease and look. That effortless dress or outfit that you could throw on and know that you looked great. Really think about what it felt like…no stress, exuding style, and confidence, and wearing something that enhanced your figure and coloring. What if you could have that rockin-it feeling all the time? What if everything in your closet enhanced your figure, reflected your style, and was high quality (and therefore long lasting)? Now take this fantasy a step further…imagine being about to at a glance pull together outfits that perfectly suited your day or evening quickly and effortlessly. A major part of your morning hustle would be stress free. You’d feel confident knowing that you looked great. Thanks in part to authors like Marie Kondo (“The Life-Changing Magic of Tidying Up”) and Jennifer Scott (“Lessons from Madame Chic”), women all across North America are pausing more to think through how they shop, what they shop for, and how their choices often add to feeling overwhelmed. And because of that, their closets are looking like the organized, coordinated one shown below. I wrote capsules off as a help for other people, yet truth be told, shopping was a crutch for me emotionally that filled a void in my not great first marriage and boosted my morale during divorce and single mom days. That’s a whole other article (LOL) but bottom line, I wasn’t ready to delve into the Capsule way of life at that point. Capsule Wardrobe defined: a small group of clothing that are classic, staple, or “essential” items which don’t go out of style. Most capsules are around 25-35 total clothing items (not including underwear, night clothes and specialty/hobby needs) plus a few carefully chosen accessories and shoes. This core creates around 125-150 outfit options for either year-round or seasonal groups. Most proponents recommend seasonal updates with on trend accessories and select new additions here and there beyond replacing items as they get worn. The term was coined in the 70’s by an English woman Susie Faux but it’s only recently that it’s really gained major following. Why do people love Capsule Wardrobes? Get dressed quickly, with no drawn out deliberations on what to wear. Eliminate or drastically cut decision fatigue issues since it’s easy to coordinate great looking outfits from your pared down options. Always be in style with neutral, simple, and elegant pieces and it’s easy to punctuate on trend items through accessories and 1–3 seasonal up trending items. Have a clutter free, organized closet and drawers which lower stress. Reduce impulse purchases and save money because you limit how much you buy. Get great return on investment for each item—even if you opt for high quality, more expensive items. Customize and suit your individual coloring, body type, and style. Boost confidence and self-esteem by fine tuning sense of style and gaining better understanding about how to shop and dress. Easily pack for any travel destination. So what made me change my mind and give it a try? 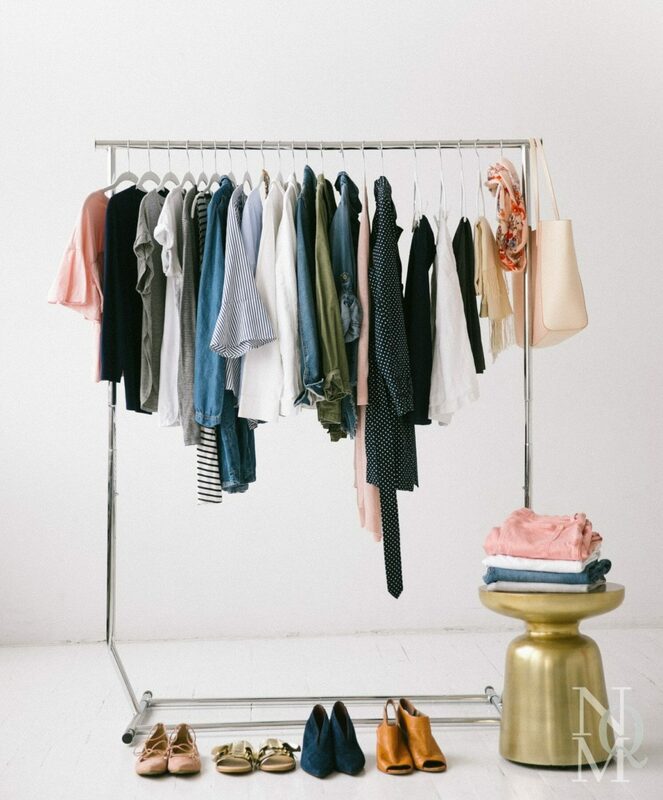 Capsule Wardrobes came up often during my “there’s got to be a better way” life productivity research a few years ago (see About Us for more info). Some link led me to Jennifer Scott’s TEDx Talk about a 10-item wardrobe shortly after my “enough’s enough!” moment. Jennifer talks through how she lived in France for a year and how the women there are incredibly chic yet they tend to own far less clothing than the average woman in the U.S., and here’s the kicker, the end result of this is that they save time, money, and energy while they look far more stylish and attractive. Effortless chic…sound good? Um…mais oui! I’m not sure if it’s that I could relate to Jennifer strongly because of our shared experience of living in Europe and my deep love of all things French, or if it was just a right time/right thing moment, but I figured what the heck? I’ll give it a try! Head over to Choose Your Best Capsule Wardrobe System next to get your new, more stylish system going.